Horn coral is a boldly colored animal with dramatic growth forms that is relatively simple to keep in a tropical saltwater aquarium. Coral specimens from the genus Hydnophora, commonly called horn coral, velvet horn coral, branch coral, or florescent coral, look a lot like what many aquarist call SPS corals. Despite their appearance, Hydnophora species’ general hardiness is far from the delicate nature of many of the so-called SPS corals. In the marine aquarium hobby, SPS is short for Small Polyp Stony, while LPS refers to Large Polyp Stony. 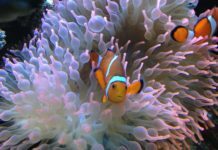 Although these terms may appear useful on the surface to the hobbyists — conventional wisdom says LPS corals are easier to care for than SPS corals — they are only hobby terms. In reality not all stony corals with large polyps are classified as LPS and vice versa. Take coral from the genus Hydnophora for example. 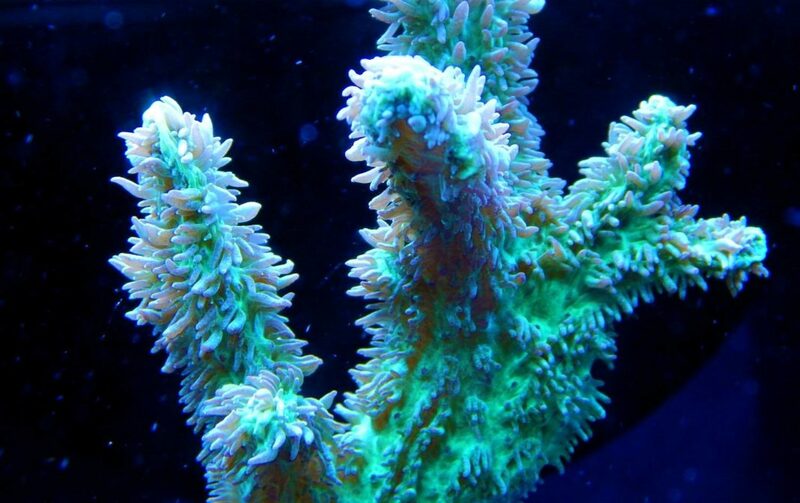 Most retailers refer to Hydnophora as an SPS coral like the very popular (and somewhat similar looking) corals from the genus Acropora. The actual polyp size of Hydnophora species, however, is larger than many common SPS corals such as those from the genera Porites (e.g. Porites annae), Acropora (e.g. Acropora squamosa) and Pocillopora (e.g. Pocillopora damicornis). If anything, Hydnophora species should be considered a medium sized polyp, but no such shorthand exists. 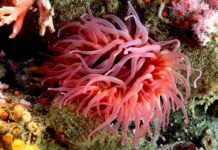 The good news for aquarists who have steered clear of Hydnophora species based on their SPS designation is that many aquarists familiar with the genus agree that Hydnophora species are easier to keep than most corals commonly categorized as SPS. 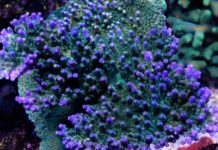 In short, adding a coral from the genus Hynophora to your reef will give you SPS looks without the bulk of the SPS husbandry concerns. Hydnophora species, especially branching growth forms, prefer strong intermittent flow and high intensity reef lighting. This is an aggressive coral that can send out sweeper tentacles with a powerful sting. Be sure to leave plenty of room around any Hydnophora species, as it is likely it will kill any coral with which it comes into physical contact. Hydnophora species are susceptible to tissue recession and bleaching events, but they are fairly resistant to most common coral diseases. Hydnophora corals appreciate supplemental feedings at least twice a week. Most aquarists are surprised at the size of prey they will consume. While they should be offered planktonic food or food specifically designed for filter feeding invertebrates, they will also consume larger food stuff as well. 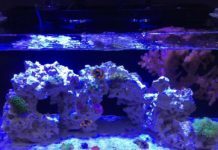 Overall, this is a fantastic coral that is unique looking, brightly colored and relatively easy to care for. Provided with a stable environment, the intermediate aquarist should expect rapid growth and balloon like expansion of its tissue.